Does it sound very tempting?.....You can catch them all at Kaziranga. Kaziranga is a beautiful world heritage site, a national park situated in the northeastern region of India, within the state of Assam, hosting two-thirds of the world's great one-horned rhinoceroses. Celebrating its centennial in 2005 after its establishment in 1905, Kaziranga boasts the highest density of tigers among protected in the world and was declared a Tiger Reserve in 2006. 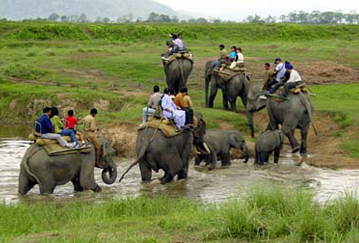 It is home to large breeding populations of elephants, wild water buffalo, swamp deer and birds. You can imagine the picturesque of Kaziranga, as it is a vast area of tall elephant grass, marshland, and dense tropical moist broadleaf forests, criss-crossed by four major rivers, and has numerous small bodies of water. It is engulfed by the Brahmaputra River, which forms the northern and eastern boundaries, and another river Mora Diphlu forms the southern boundary. Other notable river within the park is Mora Dhansiri. 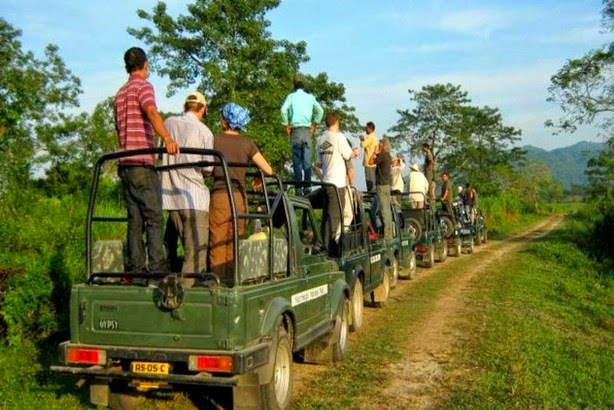 The best time to visit Kaziranga is from mid-November to early April month. It is well connected by road, one can take the bus or hired cars. 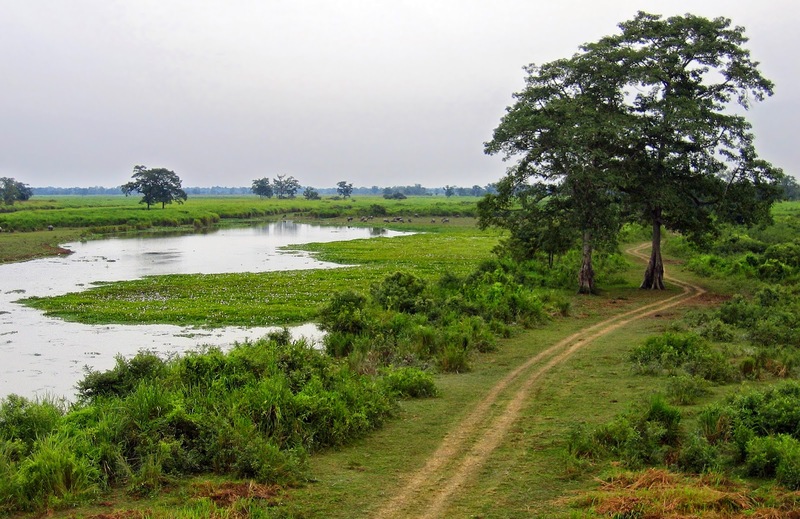 The nearest airport is situated at Jorhat, 97-km from the park. The other airport is located at Guwahati, which is 217-km from Kaziranga. The Tezpur airport is also quite close to the park. 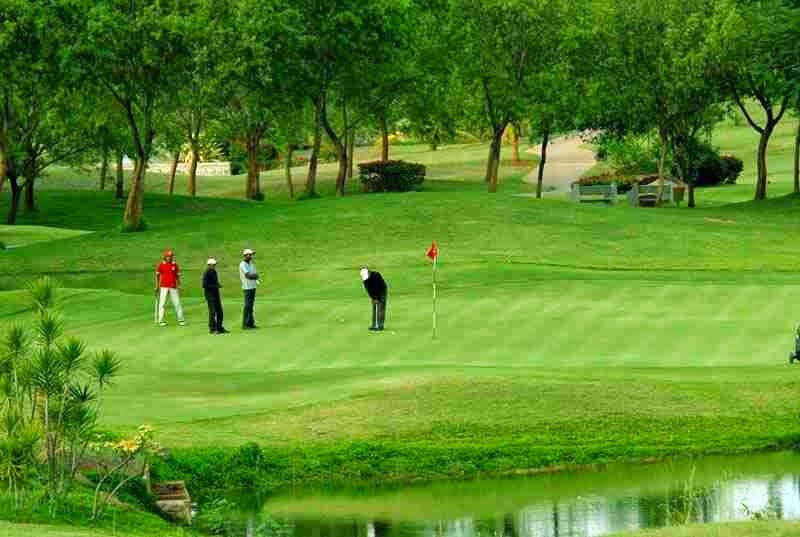 Many resorts offer you to golf on the exciting fairways surrounded by tea gardens and admirable greens...Get surprise by awesome Assamese traditional food and hospitality. If it’s a rainy day, just take a cottage, feel the sound of the rain on hay-roof, sit in the verandah, sip a cup of fresh green or orthodox tea. A marvelous experience is guaranteed. Awaken the wanderlust in you to visit this national park, when there are few Rhinos and Tigers are still alive…..the energetic Poachers are at work….no fullstop for them….